If you’re worried about Barbie and her impact on your child’s future professional aspirations, we have a different fierce female role model for you to consider: Dr. Jane Goodall. The primate-loving, world-conserving environmental activist just had a new line of doll clothing and accessories inspired by her adventures and work in Tanzania’s Gombe Park made in her honor by toy company The Queen’s Treasures. 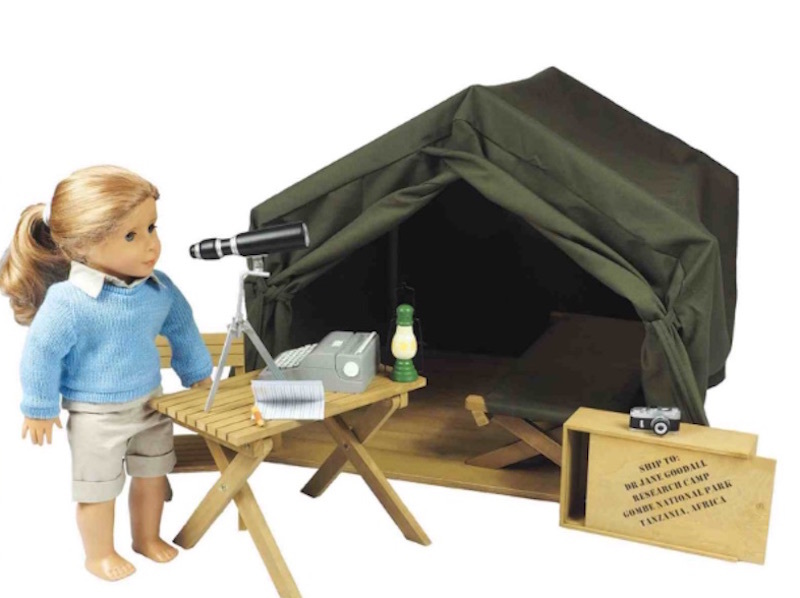 From Goodall’s realistically recreated outfit to her tent to her rainforest research kit (complete with camera, typewriter, and lantern), these new items guarantee hours of eco-minded play and inspired learning about primates and the great outdoors. Plus, the clothing and accessories are compatible with 18-inch dolls including American Girl Dolls. The Queen’s Treasures went the extra eco-mile in creating the new products honoring the world-renowned primatologist: the wood is FSC-certified and the packaging is made from recycled materials. 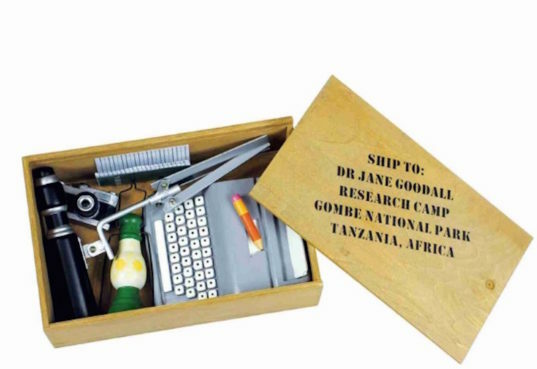 The company also paid much attention to authenticity too, designing the camp outfit after poring through photos of Goodall at work, and choosing a table, cot, and tent that resemble pieces that Goodall actually used during her initial research ventures. Our favorite item has to be the Gombe research kit, which comes in a crate with a slide-open lid, a spotting scope, and even a journal that little conservationists can use for recording notes and observations. 10% of sales for these items will go to the Jane Goodall Institute to continue to support Goodall’s work and the research of future conservationists. Until you can take your kiddo on an amazing safari in real life, these accessories and clothes will go a long way in helping to spark interest in nature, primates, and an amazing woman who has changed the face of the conservation movement. If you're worried about Barbie and her impact on your child's future professional aspirations, we have a different�fierce female role model for you to consider: Dr. Jane Goodall. The primate-loving, world-conserving environmental activist just had a new line of doll clothing and accessories inspired by her adventures and work in Tanzania's Gombe Park made in her honor by toy company The Queen's Treasures. From Goodall's realistically recreated outfit to her tent to her rainforest research kit (complete with camera, typewriter, and lantern), these new items guarantee hours of eco-minded play and inspired learning about primates and the great outdoors. Plus, the clothing and accessories are compatible with 18-inch dolls including American Girl Dolls.